To many parents in Buckinghamshire, the grammar school system represents the best chance of a great education for their children. Indeed, some even move to the county to take advantage of the few remaining areas that continue with the grammar school system. Whilst there is much debate about whether the test should be tutored for (because it disadvantages lower income families), the fact is that the test is not tutor-proof. The other fact is that schools are not allowed to teach the 11+ directly. That leaves a yawning gap that needs to be filled. The Transfer Test, otherwise known as the 11+ test, takes place early in September for the incoming Year 6. That means that much of Year 5 is spent preparing for the test. However, a lot of parents choose to start tuition even earlier than that, in year 4, and here’s why. 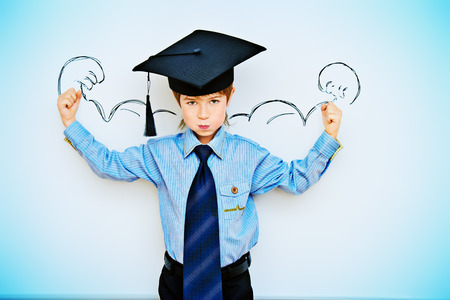 Why start tuition in year 4? Eighty per cent of the 11+ is supposed to be based on the national curriculum, in other words, taught at school. However, this doesn’t allow for those that fail to grasp certain topics comprehensively and the 20% of the test that isn’t part of the curriculum. The Year 5 11+ revision is spent honing in on the three aspects of the test: Verbal reasoning, Non-verbal reasoning and Maths. Year 4 is a great time to start laying the foundations for this work. These are the areas that we cover in Year 4. The importance of spelling and vocabulary. 50% of the 11+ test in Bucks is made up of what they call Verbal Reasoning. It’s crucial to get spelling, vocabulary – including synonyms and antonyms – and comprehension skills well under way. We spend a lot of time in 11+ tuition learning new words and frankly, there is no end to the amount of words a child can add to their vocabulary. Therefore, the earlier they start, the better! Comprehension practice, understanding the meanings of different words in different contexts, all of this can begin to be built up gently from Year 4. There are two other parts to the test, “non-verbal reasoning” and maths. Non-verbal reasoning takes up around 20% of the test. Here examiners are looking at a child’s ability to pick up patterns and codes. What they want the children to do is to show that they can solve problems. Skills such as maths, spatial awareness and the ability to spot patterns is crucial to these types of questions. While some children have a natural ability in this area, others need to be taught how to do it. In addition, plugging any gaps in maths is very helpful – it allows them hit the Year 5 11+ tuition running. Maths is 30% of the exam. First thing’s first, times tables are key. If a child knows the answer to a times table they can work out the answer to a maths problem that much more quickly. The 11+ test is very much about answering accurately – at speed! Maths, in common with Verbal Reasoning, is a skill that can be built up gradually. It is not just about numbers. Shapes, time, angles and even coordinates come under the Maths umbrella. Then there are measures, fractions and place value. Above all, tuition helps a child’s confidence in their ability. The more confident they are when they start 11+ tuition in Year 5, the better they will do! 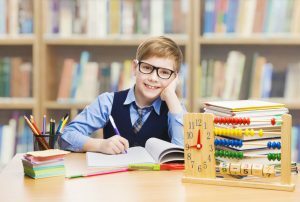 Please contact me on 01494 773300 or email penny@penandinktuition.co.uk to discuss your child’s particular needs. The 11+ is a test to decide which secondary school your child will go to. If they take the 11+ and pass, they have the option of applying to the county’s grammar schools. Up until 2017, the test was formulated by Centre for Evaluation and Monitoring. Their test comprises two papers, both multiple choice. Each paper is about 45 minutes long and is split into a number of separately timed sections. From autumn 2018, the test will be provided by GL Assessment, who provided the test prior to 2013. Bucks county switched to CEM in the hope that the test would become “tutor-proof” but it proved a failed experiment. It’s too early to say what their test will look like, except to confirm that “they will continue to assess verbal, non-verbal and mathematical skills and that children will continue to sit a practice test and then two test papers.” Further details are meant to become available this November. However, one headmaster of a grammar school has been quoted as saying that the new test will avoid the current situation, in which many pupils who won places at his school with the help of intensive tutoring struggle to keep up with lessons once they arrive. Why is the 11+ controversial? The controversial test has been criticised for allegedly giving unfair advantage to children from better-off homes, as they are able to afford tutoring. Why tutor for the 11+? Despite the assertion that the “new” Buckinghamshire Transfer Test was “tutor-proof” this simply wasn’t the case. The outgoing 11+, devised by the Centre for Evaluation and Monitoring (CEM) at Durham University, was supposed to be 80% comprised of what is being taught at school. However, this didn’t not allow for those who need extra help with the school curriculum, nor that elusive 20% that isn’t being taught! It remains to be seen how the new test will differ. What’s the process for applying for the 11+? Depending on which school you are applying for, you will either need to apply directly to the grammar school or to the Admission & Transport team. If your child goes to a Buckinghamshire LA primary school, they will automatically be registered to take the Transfer Test. If your child goes to any other school you need to register them for Transfer Testing. What’s the process for applying for the 11+ if I’m out of county? The same process as above applies but there is no guarantee of a place, even if your child passes the test. When is the 11+ exam this year? When do the results come out this year? What if my child doesn’t pass and I want to appeal? If your child scores 121 or more on the Transfer Test they are automatically qualified for grammar school. If they do not score 121 parents can request a Selection Review and/or Independent Admission Appeal. Download the Transfer Testing Process on this page for more information. What’s the best way to study for the 11+? It will depend on your child, but we suggest a weekly lesson from us will build their confidence and enable them to progress at a steady pace. We do offer a last minute ‘crash course’ for those children who have not done any preparation before the summer holidays but most children learn better at a more sensible pace, with a mixture of different ways of learning; books, computer programmes, games etc. What makes Pen and Ink Tuition different? We strongly believe that all children need to enjoy their learning so we work hard to make the sessions fun and exciting. We want children to become happy and confident learners. Our small group sizes ensure that we can give children individual attention and they still benefit from the group sessions. Read more about the 11+ here. Why do we need to learn the times tables? How do you pass the 11+ ?